The iPhone can do a lot of things, but work as a functional piece of furniture? 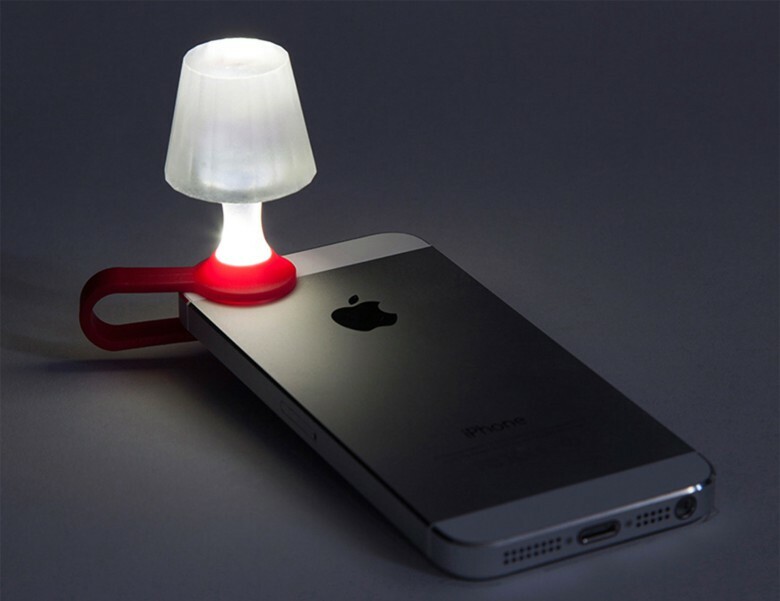 Yes, as one design studio proved when it created a tiny lampshade that clips to the iPhone. 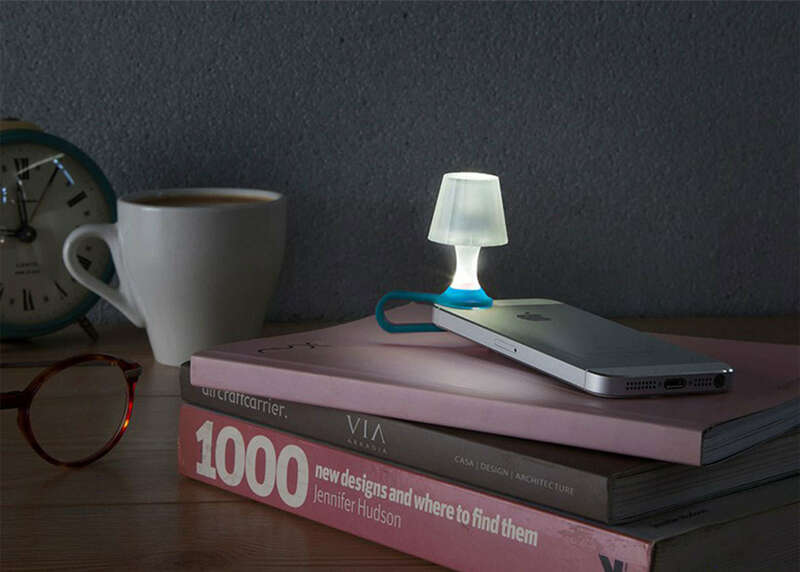 Activate the flashlight app and behold, a nightstand reading light. The luma shade, a collaboration between Peleg Design and the founder’s alma mater, Holon Institute of Technology in Israel, is made from acrylic and works to spread and soften the light coming from a smartphone flashlight. It comes in blue, red and white and stays put thanks to a snug clip at the base of the lamp. It looks like any other table lamp, except this one can be stored in a pocket or drawer. That Peleg Design is behind this creative accessory would be no surprise to the friends and colleague’s of the design studio founder, Shahar Peleg. Peleg founded the studio in 2004 on three principals – functionality, aesthetics and humor – with the purpose of transforming ordinary objects for the living space into exciting innovation. A look at the Peleg Design products page shows everything from an egg cup named Arthur that looks like a knight to a clip that closes a bag of chips and takes on the shape of your grandma’s purse. The design website designboom featured it after it was selected from the site’s DIY Submissions. You can purchase the luma from the designboom shop for $9. This entry was posted in Apple news and tagged designboom, flashlight app, iphone, iphone accessories, Peleg Design. Bookmark the permalink.